The Four star Hotel Duca d’Alba in Rome was born from the owner’s idea of transforming an old building into one of the most peculiar and warm 4 star hotels in Rome. 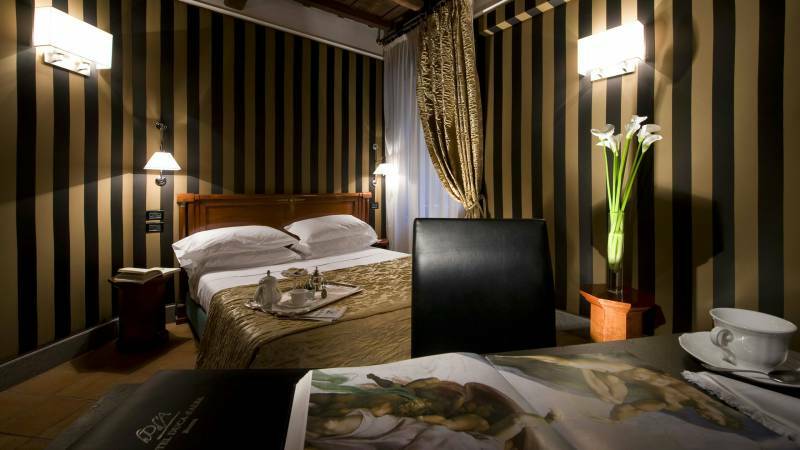 You will be welcomed by a classical atmosphere and will find yourself at home in any of the 27 bedrooms, each decorated with a different style. 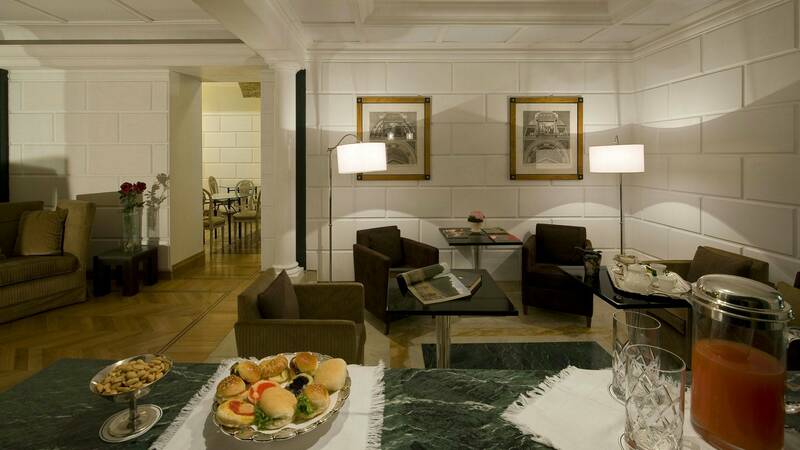 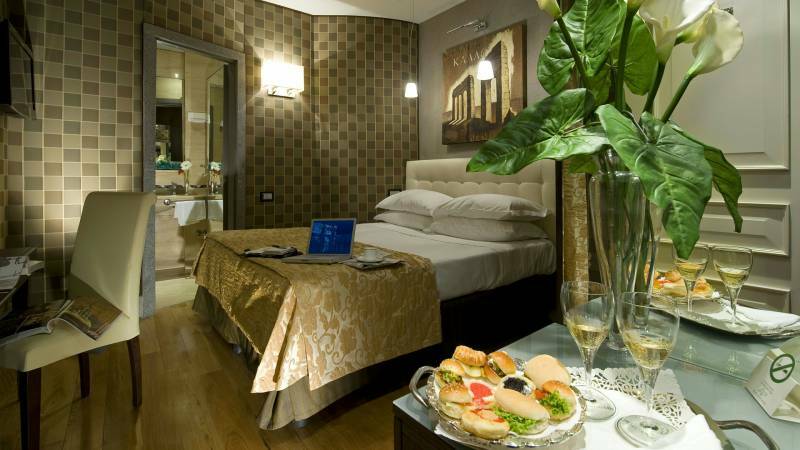 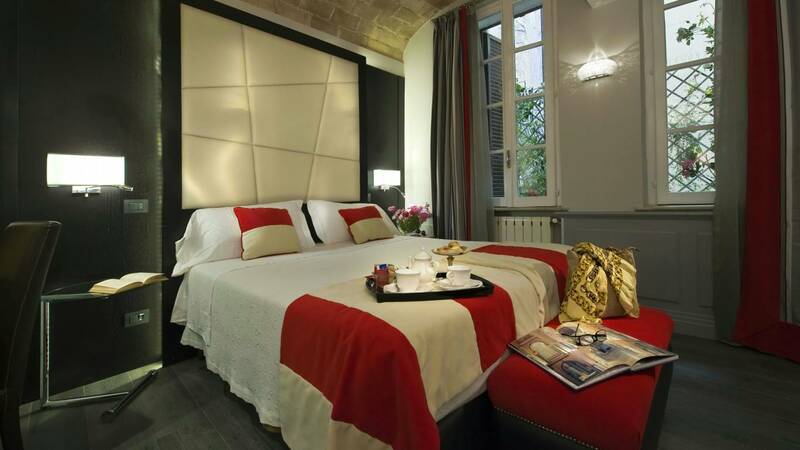 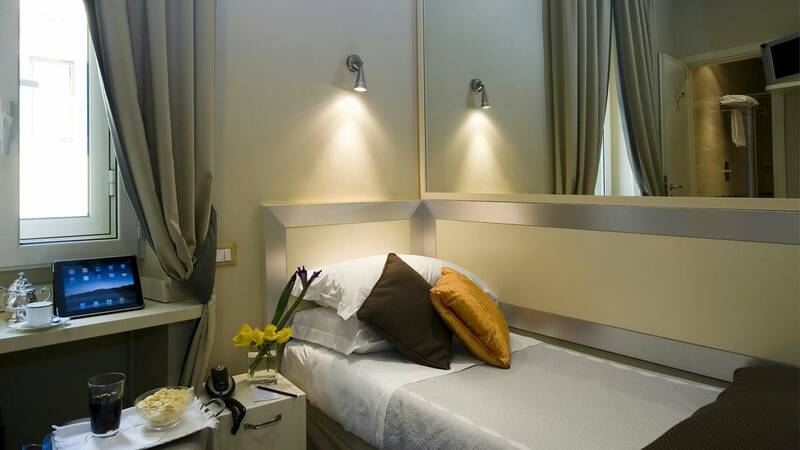 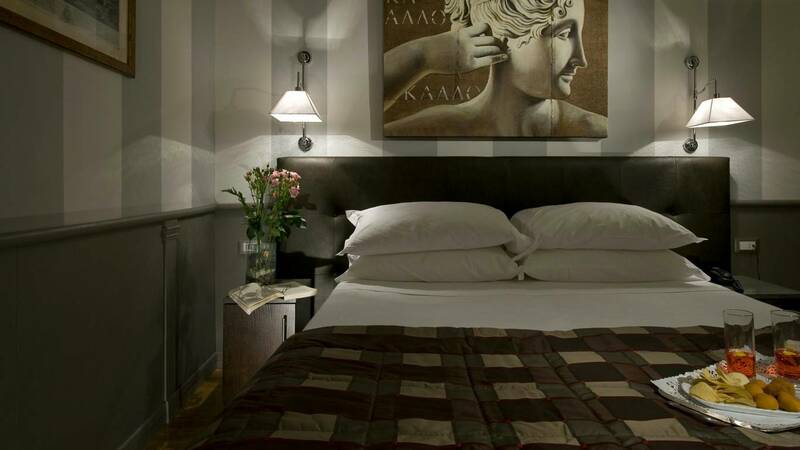 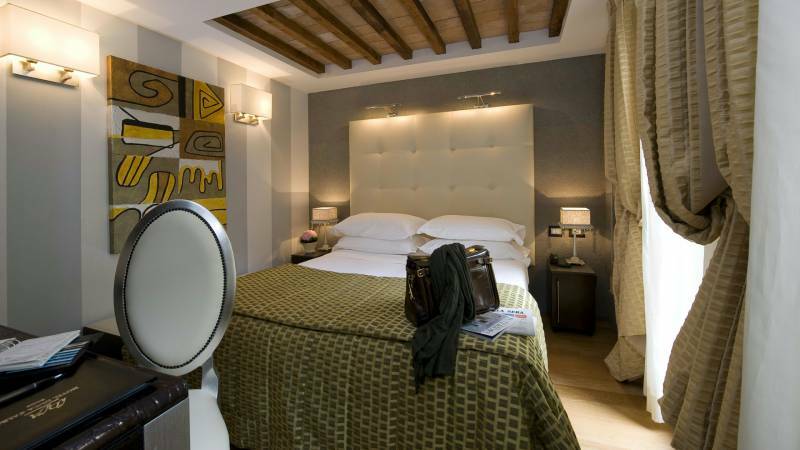 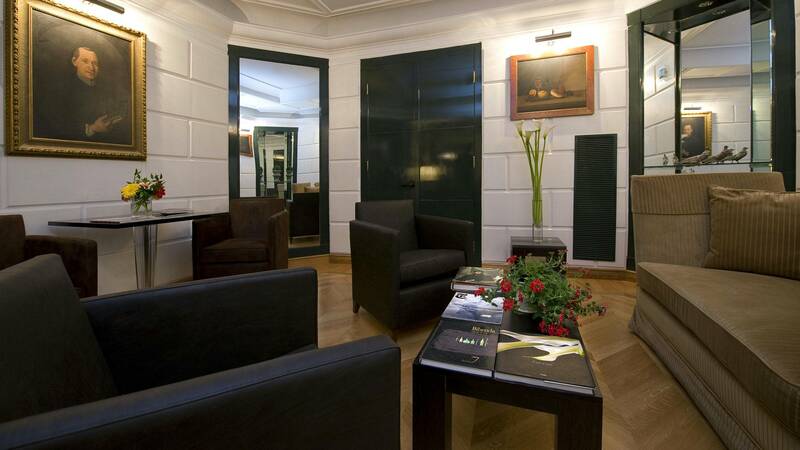 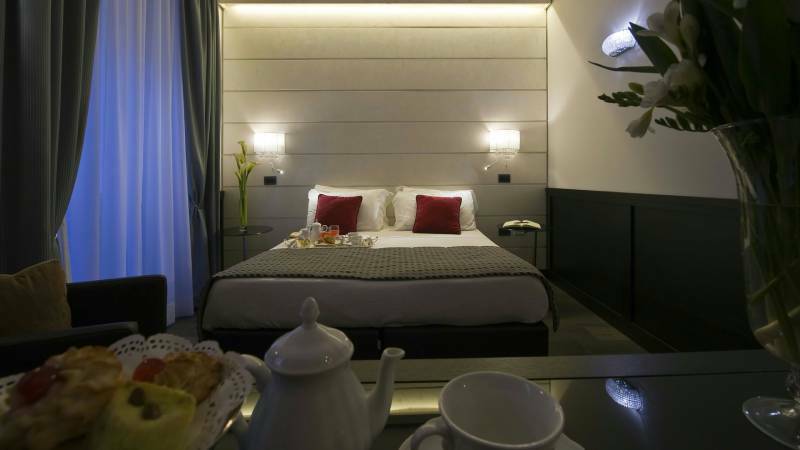 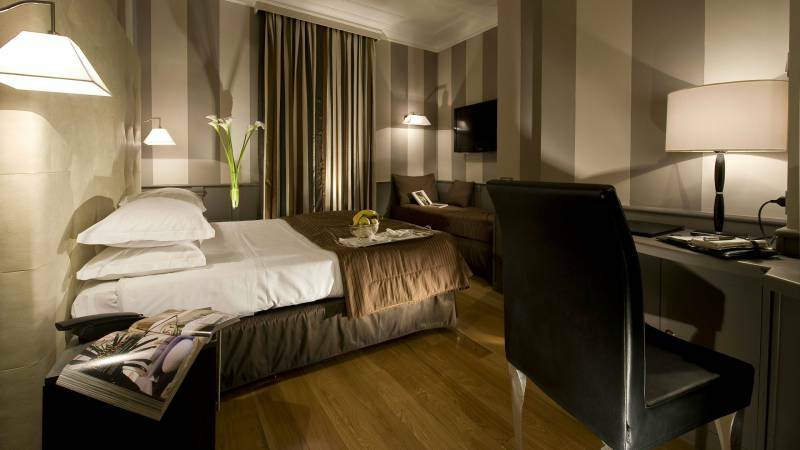 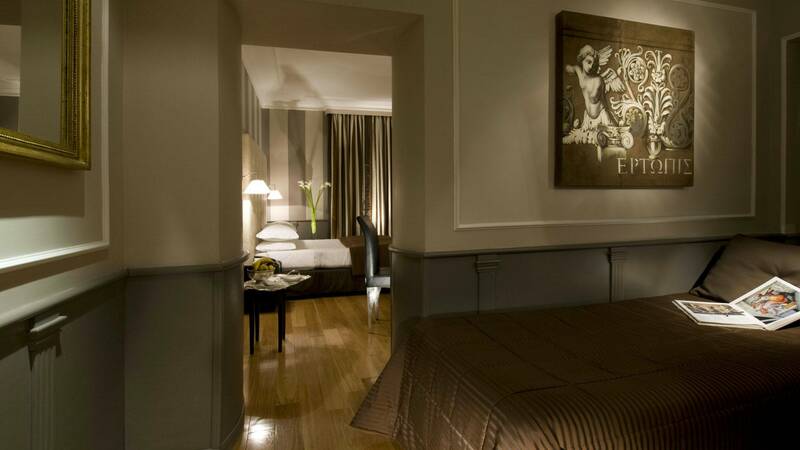 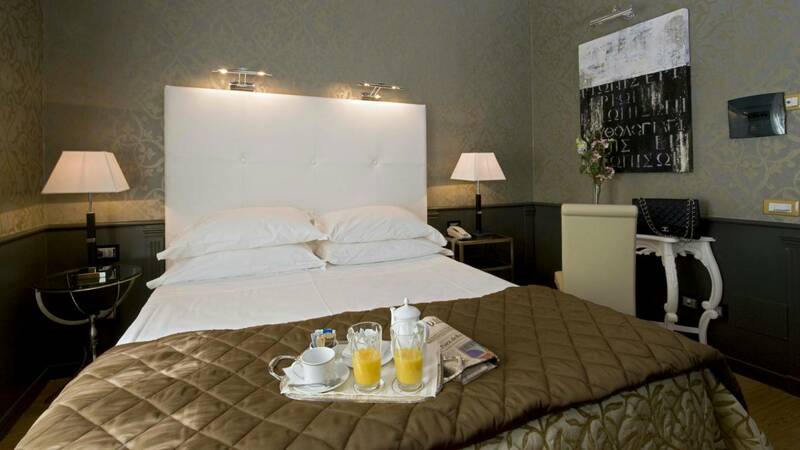 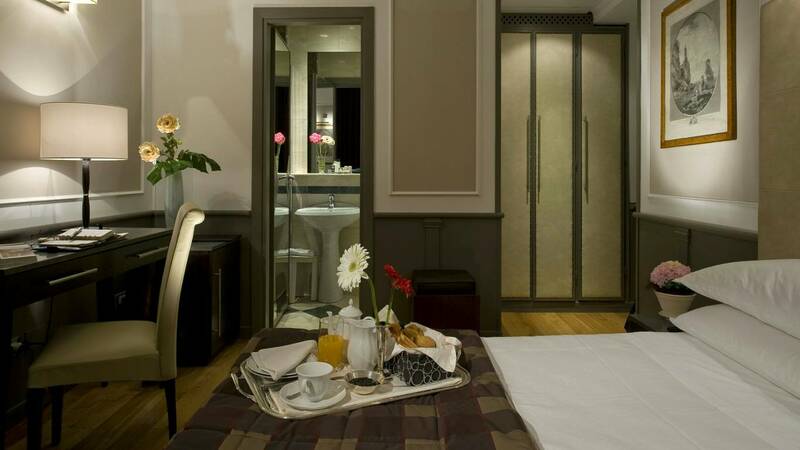 The exceptional design, modern comforts and a caring staff are the frame to a pleasant stay at your hotel in Rome. 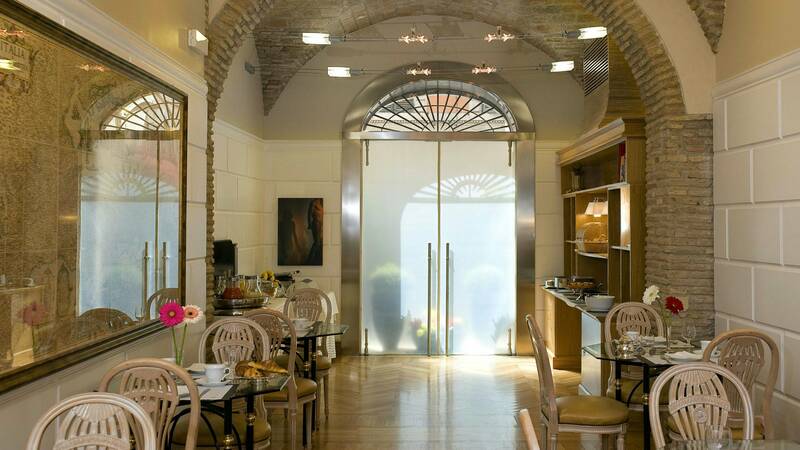 Inside Imperial Rome, 300 mt. from the Colosseum and Roman Forum. 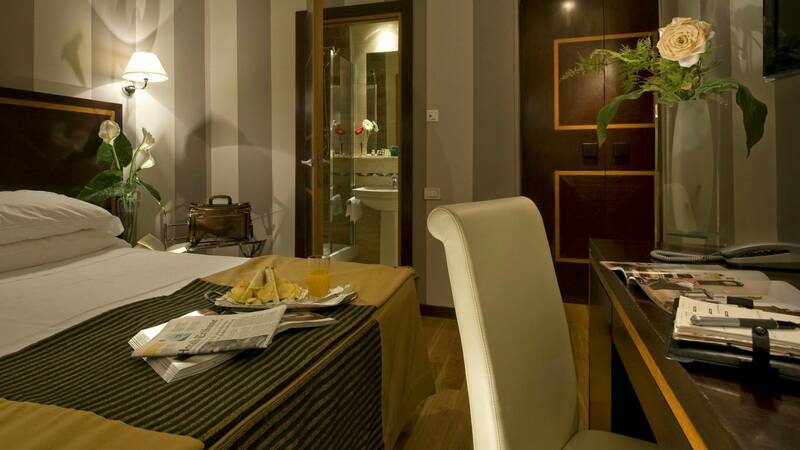 There are several types of rooms available, Standard, Superior and Junior Suites, suitable for both business and leisure guests.